Go for Gold is extremely proud of our 2017 Grade 12 students ALL PASSING their matric finals! 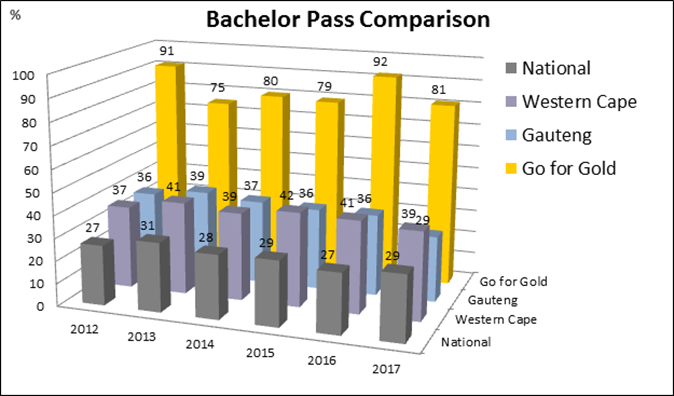 In 2017, 651 707 youth in South Africa wrote their matric exam; 75.1% passed and only 28.7% attained a bachelor-pass. However, 81% of the Go for Gold Grade 12 cohort attained Bachelor Passes for the 4th consecutive year!